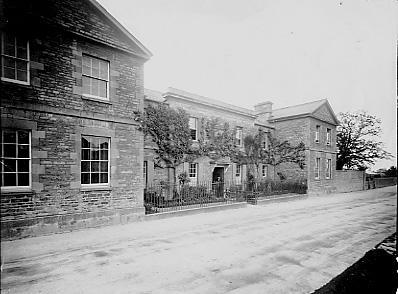 Woodstock had a parish workhouse in operation from around 1735. In 1778, the sum of £80 given by Woodstock MP John Skinner was used to set up a workhouse in Hollow Way, next to the corporation's almshouses, the site of the later Olivet chapel. 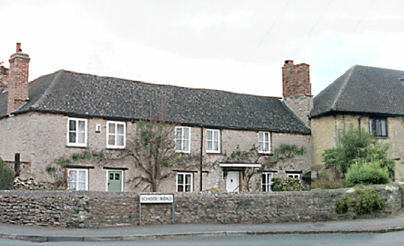 The existing house on the site was bought for £63, and then rebuilt by a local builder John Chapman. In 1804 Oxfordshire Session Rolls refer to a case of inhumanity by the workhouse Master. In 1811, the running of a workhouse was contracted to one Richard Morris. "Eight trenchers and a ladle, a brewing kettle and a bale, a cole rake, oven lid and peel, a load of faggots, and £5 worth of linen from Sawyer the Scotchman." 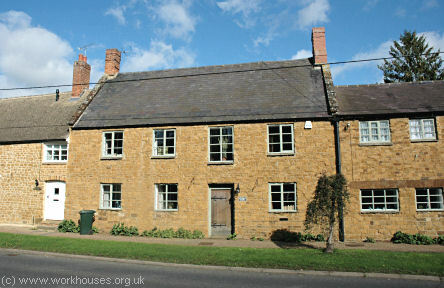 In 1754, the Vestry approved the conversion of the old schoolhouse (now no. 14 School Road) into a workhouse with a superintendent. However, Kidlington is notably absent from a 1777 parliamentary survey of parish workhouses. In 1788-95 various payments were made to the workhouse which, according to a 1793 inventory, comprised 5 rooms, a garret, and a cellar, and contained 9 bedsteads. It also contained equipment for spinning and carding wool or flax. 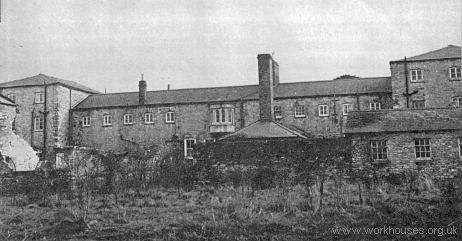 The workhouse was enlarged in 1821. The parish of Combe shared in the running of the Kidlington workhouse for the period from 1735. The 1777 parliamentary report lists a parish workhouse in Combe itself, with accommodation for up to 20 inmates. This stood at the south of the village green, on the site of a house later called Old Stores. In 1791, a contractor was being paid £10 a year to maintain the workhouse poor. In the same 1777 report, Deddington is listed as having a parish workhouse for 25 inmates. Bladon operated a parish workhouse from around 1803 when the sum of £39 was spent for this purpose. In parish records of 1806, sheets were bought for a workhouse inmate, and in 1812 beer was bought for the workhouse. Oxfordshire: Barton, Begbroke, Bladon, Cassington, Clifton, Combe, Deddington (2), Duns Tew, Glympton, Gosford, Hampton Gay, Hampton Poyle, Hempton, Hensington, Over and Nether Kiddington, Kidlington (2), Middle Aston, Nether Worton, North Aston, Over Worton, Rousham, Sandford, Shipton upon Cherwell, Steeple Aston, Stonesfield, Tackley, Thrupp, Water Eaton, Westcott Barton, Wolvercott, Woodstock (2), Wootton (2), Yarrington (Yarnton). The population falling within the union at the 1831 census had been 13,219, with an average (1832-35) poor-rate expenditure of £11,945. Woodstock, at this time, was not actually the biggest parish in the union — its population of 1,380 came second to Deddington's total of 1,590. Deddington's annual poor rate expenditure averaged £2018, almost twice as much per head as Woodstock's average of £994. The new union workhouse was erected in 1836-7 not far from the town centre on the north side of Hensington Road as shown on the 1898 OS map below. The building, for up to 300 people was, designed by George Wilkinson of Witney. He won the contract in competition with a rival design by John Plowman who was responsible for nearby Bicester workhouse. Wilkinson's layout, enclosing two courtyards — one for men and one for women — was slightly unusual and did not follow the other common designs of the period. The building contract for £3100 was, also somewhat unusually, awarded to a woman — Mrs Margaret Wyatt. Woodstock site from the north-west. The workhouse was gradually extended, starting in 1859-62 with additional wings either side of the entrance block, and a new laundry to the north of the original building. In 1863, a separate chapel was erected to the north-east of the workhouse. 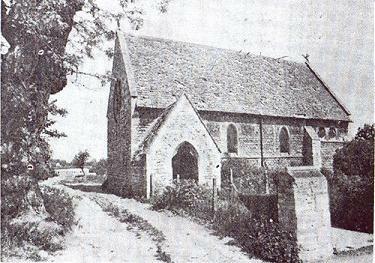 The chapel was later also used as a mortuary chapel for a new adjacent cemetery. An infirmary, known as Glyme View (it overlooked the river Glyme) was added at the north of the site in 1891. In later years, casual inmates chopped wood or broke stones in return for a night's lodging. In the 1920s, the Oxford Liberal MP Frank Gray made an undercover visit to the casual ward as part of his investigations into the life and conditions of tramps. 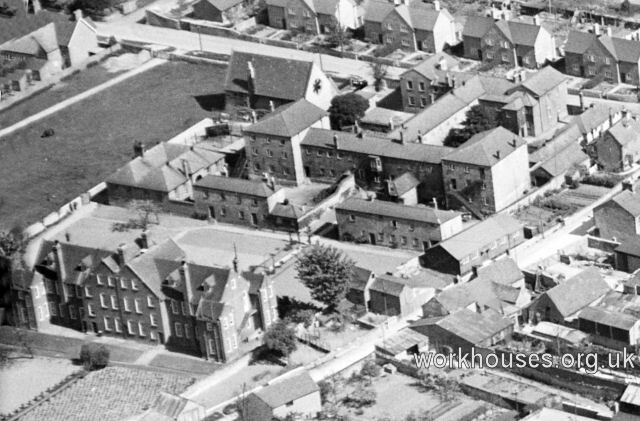 After 1930, the workhouse became Hensington House, a home for the elderly with 70-80 inmates. It also housed a nursery for illegitimate children under five. Conditions became less severe, although the sexes were still segregated and the main door was locked every night at 10pm. The male inmates looked after the large gardens, and theatrical productions involving the residents were occasionally mounted, with costumes made by the Matron, Mrs White. The workhouse building was finally demolished in 1969, and the site is now occupied by a car-park, fire-station and library. The chapel, which was owned by a separate Board of Trustees, survived a couple of years longer. This was largely due to the fact that no Trustees had been appointed since 1905 and all had since died! Eventually, a descendant of the last surviving Trustee was located and a new Board was appointed to sanction the chapel's demolition in 1971. 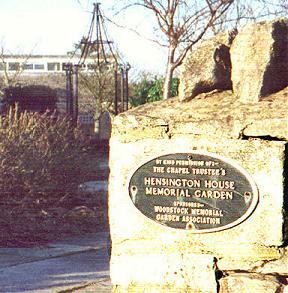 The site remains consecrated and is now a small memorial garden. Oxfordshire History Centre, St Luke's Church, Temple Road, Cowley, Oxford OX4 2EX. Holdings include: Baptisms (1866-1948); Guardians' minute books (1835-1931); Assessment Committee minutes 1862-1926; Cuttings scrapbook from 1877; etc.